Marco Rubio: Does he stand a chance? Back in 2010 when Marco Rubio won what seemed like an impossible victory against Charlie Crist, he became the new darling of the Republican Party — specifically the Tea Party wing of the GOP. The freshman senator gained national attention as someone who could potentially become the future of the Republican Party. The young senator can break out in fluent Spanish ,has a knack for working a room and gives a great stump speech. But one question remains: Can he win an election stacked against him on the national stage? Back in March, polls showed Rubio lagging behind candidates like Jeb Bush and Governor Scott Walker of Wisconsin with an unimpressive eight percent. He is young, running against his former mentor and powerhouse Jeb Bush, and during his time as Senator angered members of his own party by working on a bipartisan immigration reform bill. But the son of Cuban immigrants might bring more to the table than his detractors realize. 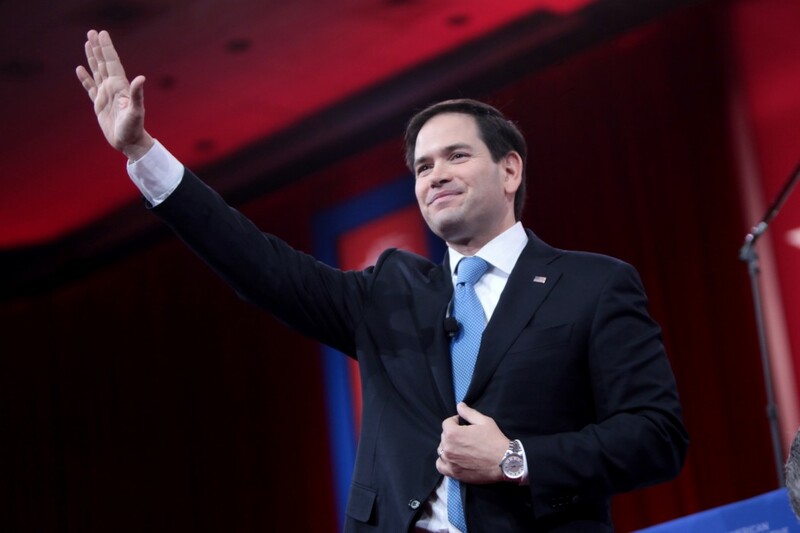 According to critics, at age 43, Marco Rubio is the epitome of an inexperienced hopeful. He is not regarded as a formidable opponent for someone with an Ivy League pedigree or someone as seasoned as Hillary Clinton. He has not had the amount of federal experience that is usually required to seek the highest office in American politics and has not spearheaded any major pieces of legislation. His only bout with attempting any kind of reform was the failed attempt at immigration reform with the bipartisan senators known as the “gang of eight.” Many look at this run for the president as a harebrained endeavor more reflective of hubris than of true leadership potential. Gail Collins, an op-ed columnist for the New York Times, is one such critic and last week provided a scathing review of Rubio’s autobiography, “An American Son” in which she paints the Senator as a privileged, petulant child used to getting his way. But what Collins and other critics fail to realize is that Rubio emerging as a front-runner is not beyond the realm of possibility. He stands out in a crowd of older, more typical candidates. He is not as old as Jeb Bush and he is not as inflammatory as Ted Cruz. He is much more appealing to the average Republican voter even if some of his views, such as his take on gay marriage and climate change are more in line with those of the Tea Party. His youth makes what many consider more “archaic views” less of an issue. Additionally, many young Latino voters look at Rubio as someone they can identify with. He grew up in a modest household, not impoverished, but certainly not privileged. He has worked for everything he has achieved—a point that will resonate with many young first generation Americans. Rubio’s energy and youth is something that has been absent from Republican politics for far too long and it would be a gross underestimation of his political savviness to dismiss him merely on the grounds of inexperience. Furthermore, everyone who highlights his inexperience seems to forget that eight years ago, a very similar candidate had come onto the political arena. President Obama had only one senate term under his belt and no federal experience when he was elected president. Rubio has previous experience with local politics as a member of the Florida House of Representatives and is adroit at handling the retail aspect of campaigns. He is convincing in one-on-one meetings and a gifted communicator. If Rubio succeeds in convincing the American people that his inexperience is not what they should focus on, Rubio might just have a shot. After all, the young charismatic senator knows a thing or two about being the dark horse candidate.